To start off the school year, 1st Grade created "Where&apos;s Waldo?" 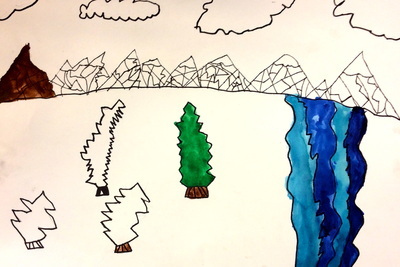 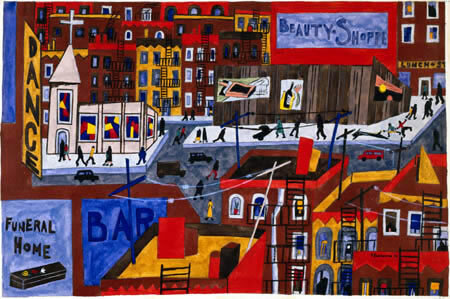 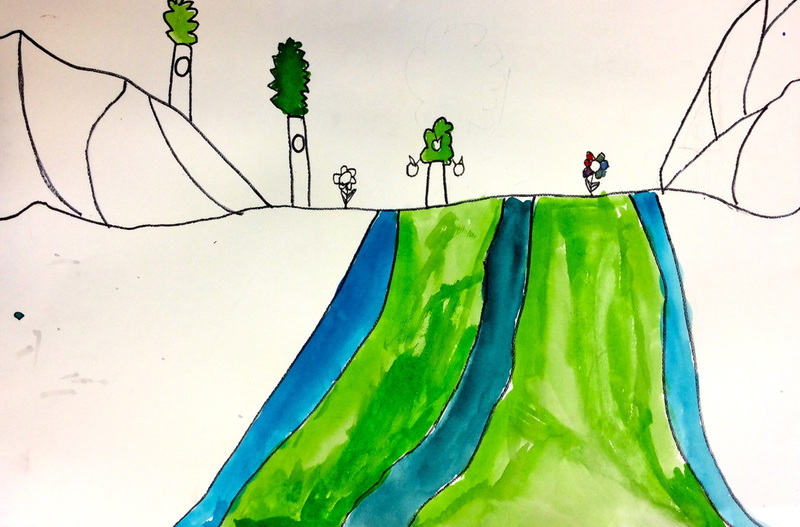 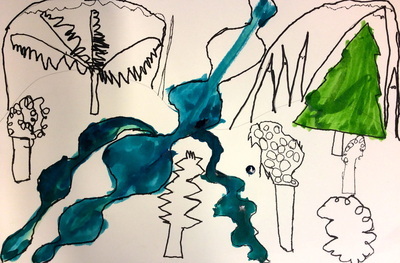 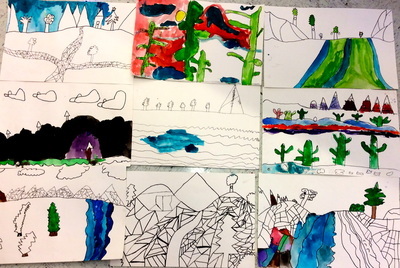 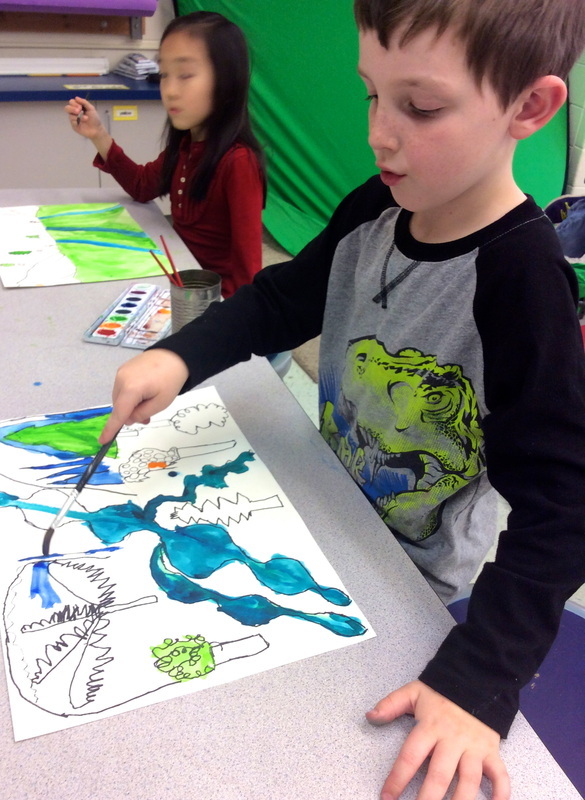 self portraits rich with detail to depict their individuality. 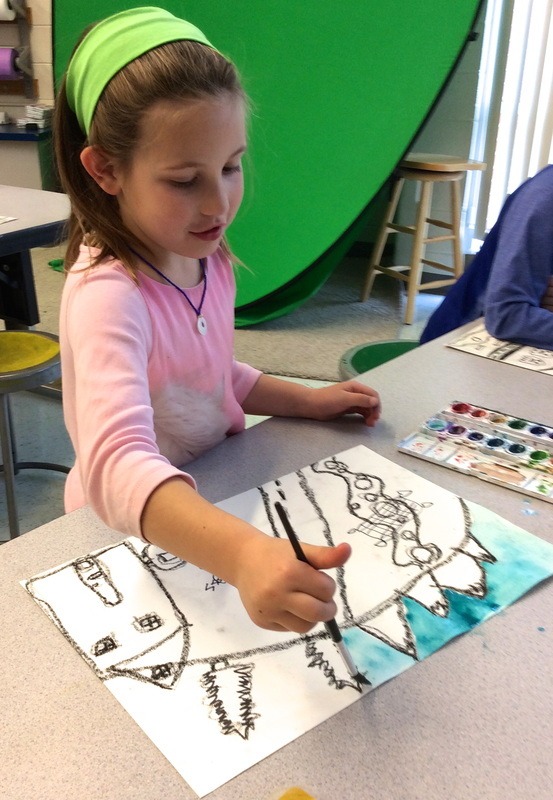 The trick was to draw enough details so their self portrait could be easily found when mixed in with all the other 1st graders and displayed outside the art room. 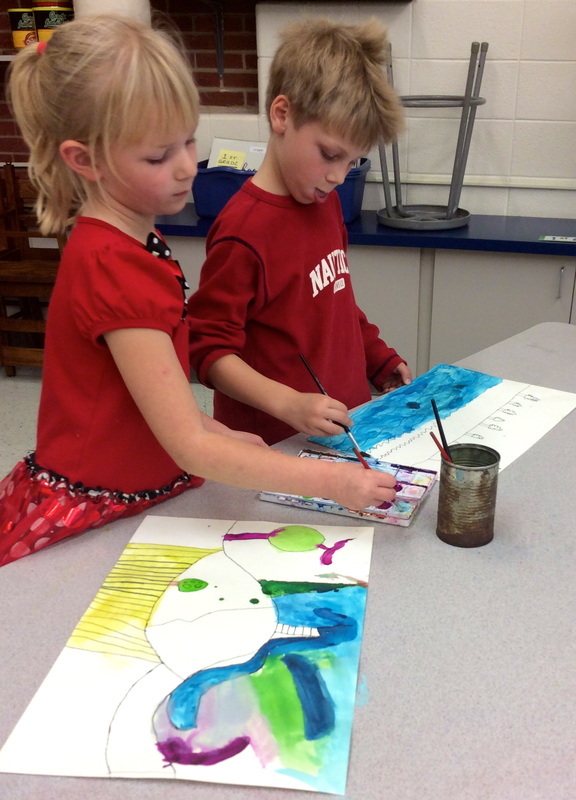 Check them out; they are bursting with character! 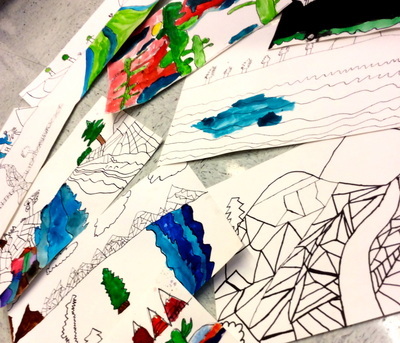 We used pencil, crayon, scissors, and paper. 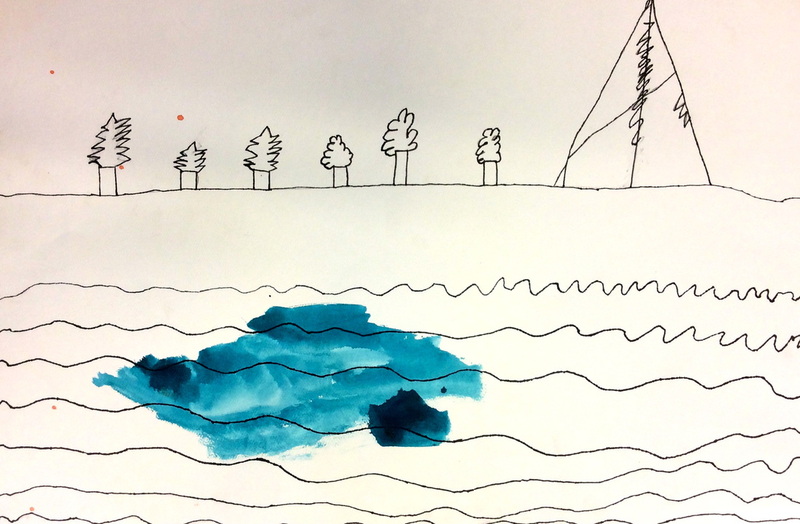 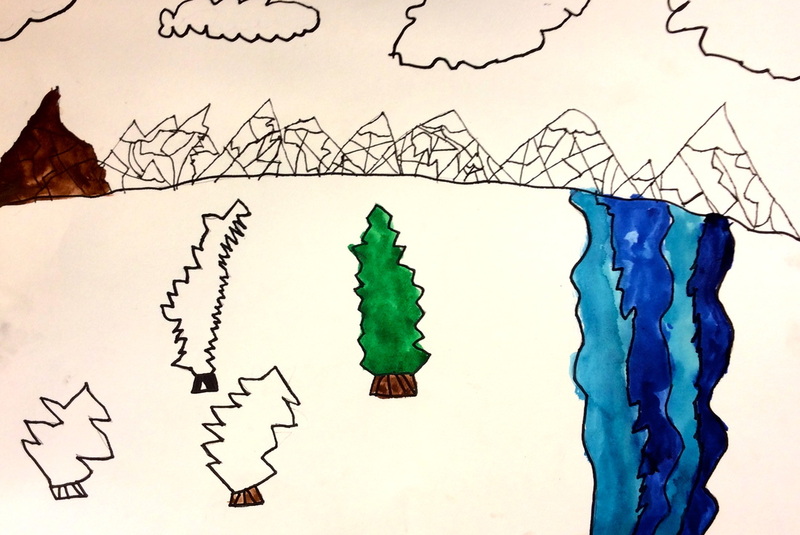 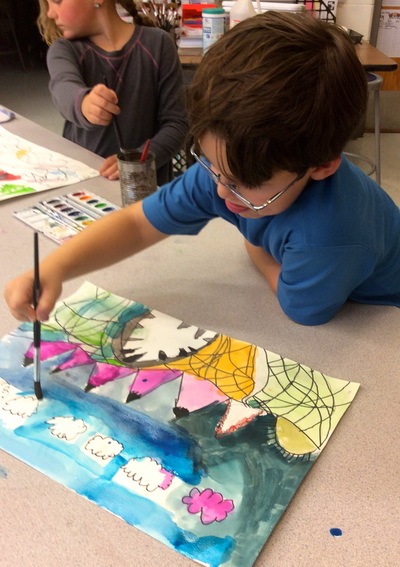 Before beginning the art making process, we described Waldo and decided that his his red-and-whitestriped shirt, bobble hat, and glasses were very important when it came to finding him! 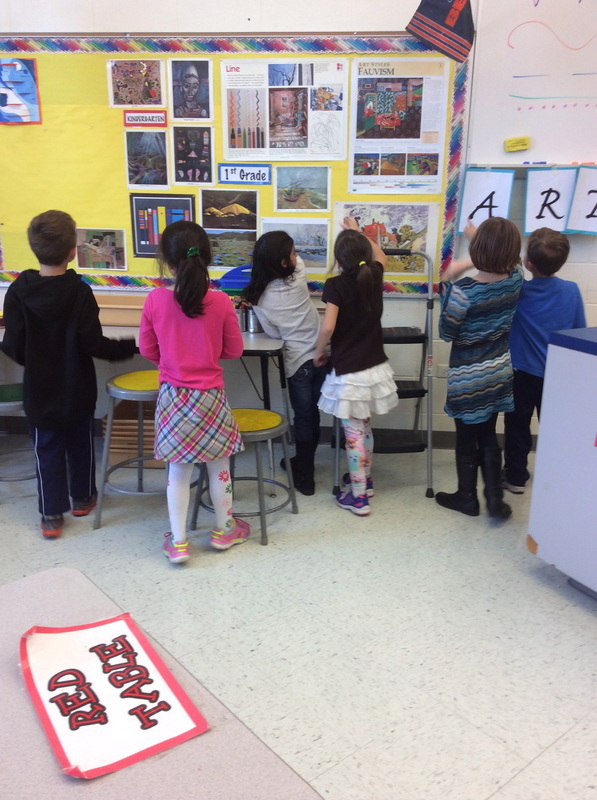 We then took time to look down at our clothes or visualize our favorite outfit. We examined every little detail. 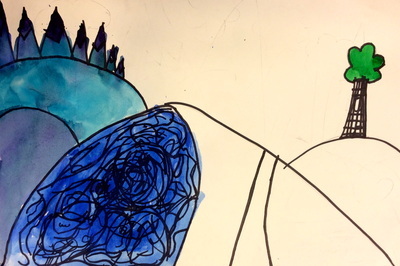 The class led me in a figure drawing demo by telling me what body part to draw, any features I was missing, what shape fits best, etc. 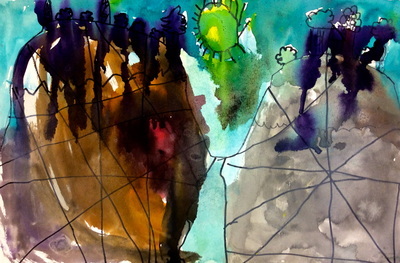 Once they made sure my self portrait had enough detail (and I wasn&apos;t missing a limb! ), it was their turn to begin. 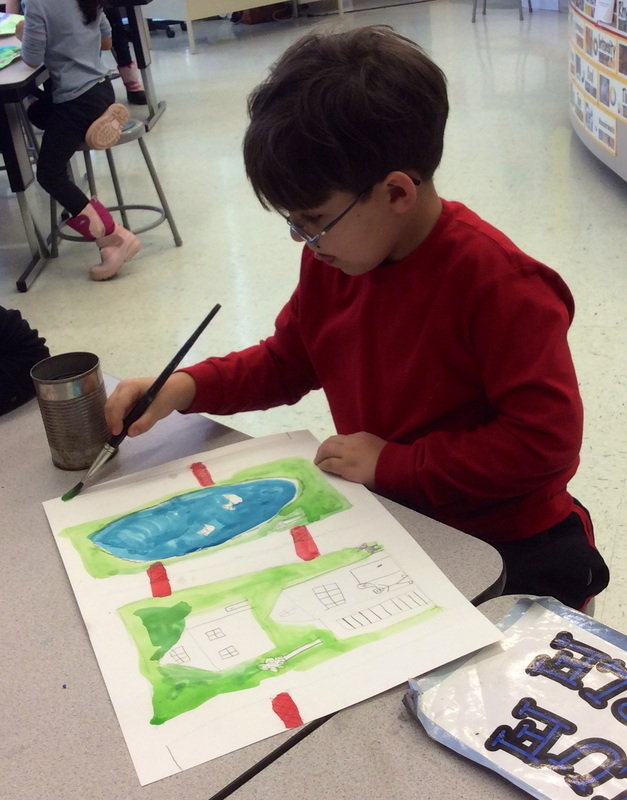 Step 1- Students used pencil to draw their self portrait. 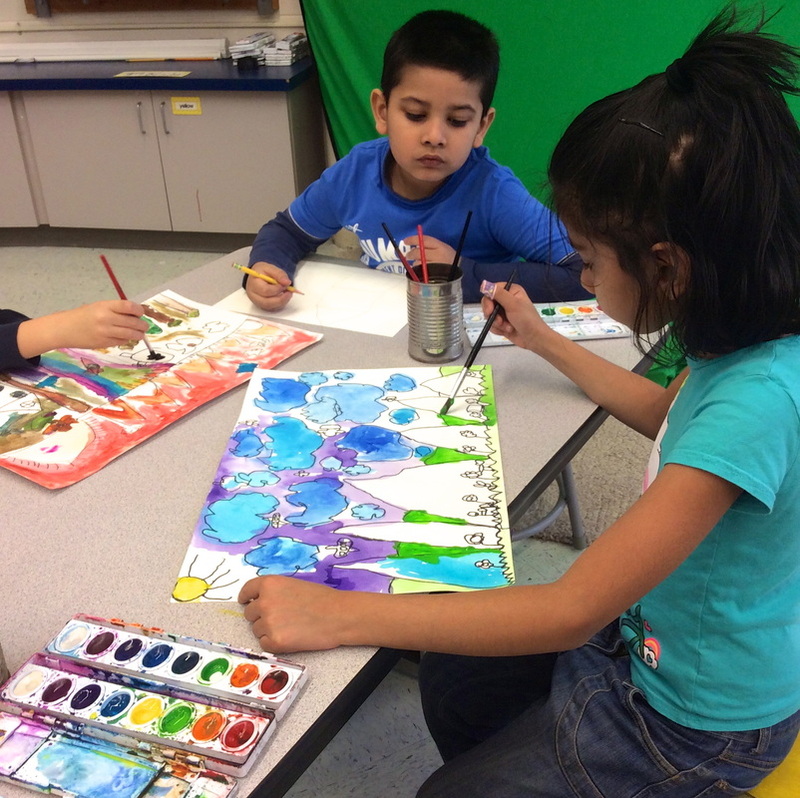 They were encouraged to include as many details as they possibly could. 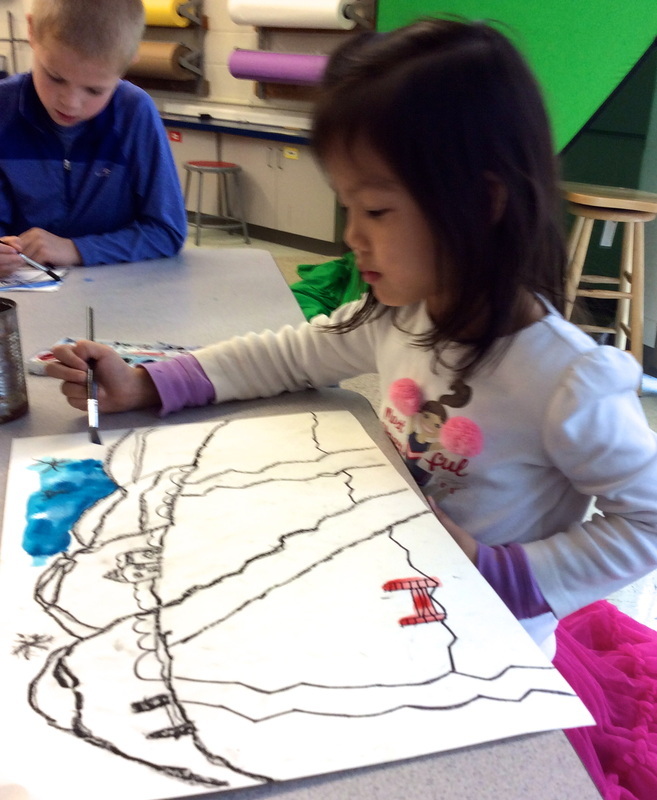 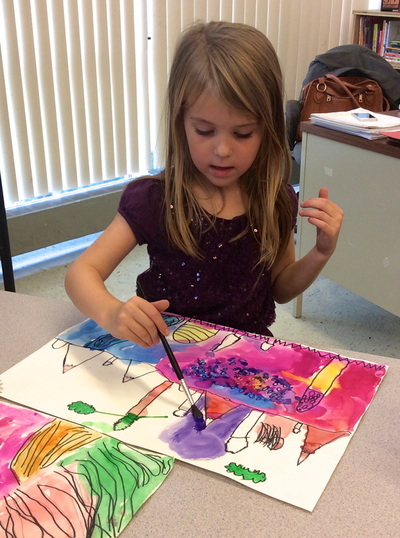 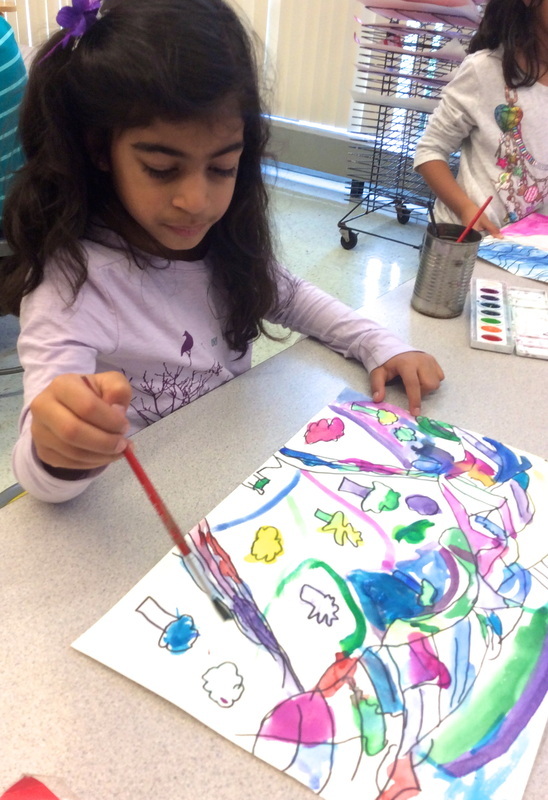 Step 2- Using crayon, the 1st graders mindfully added color to their self portraits. 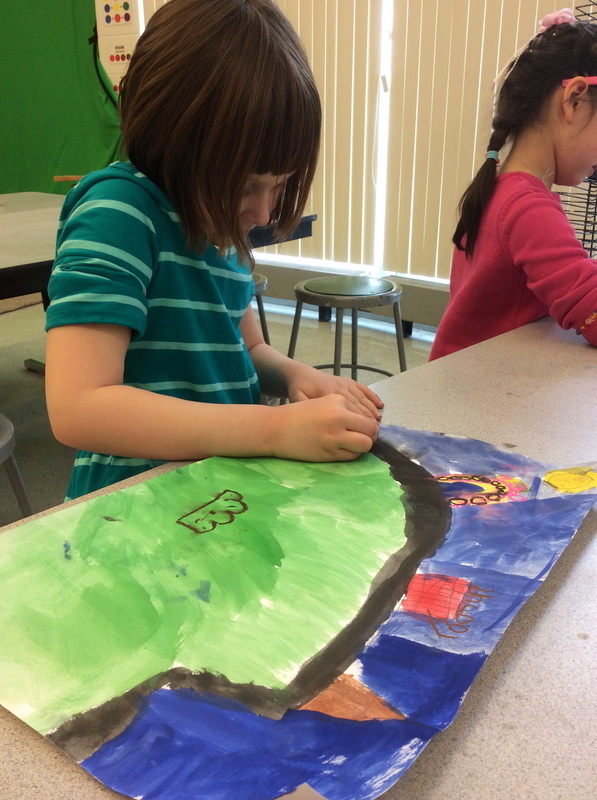 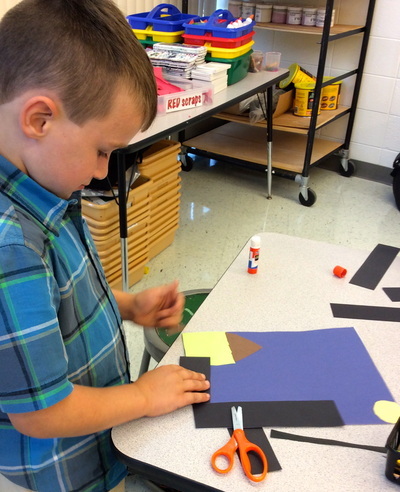 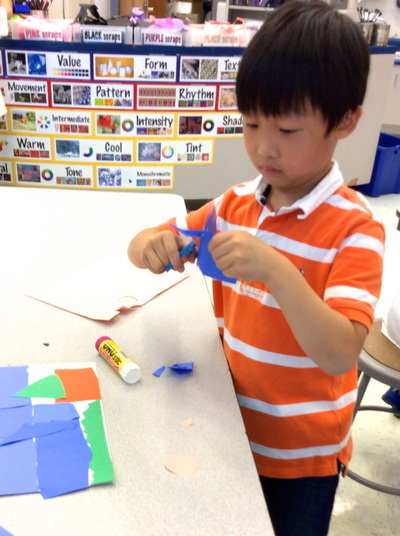 Step 3- Students cut their &apos;mini me&apos; out by carefully following the outer edge of their self portrait. 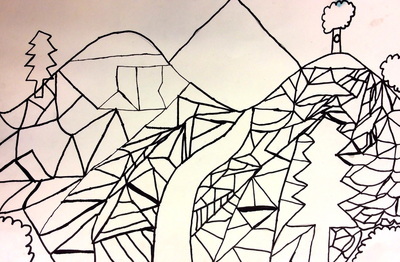 All artwork will be uploaded to Artsonia soon. 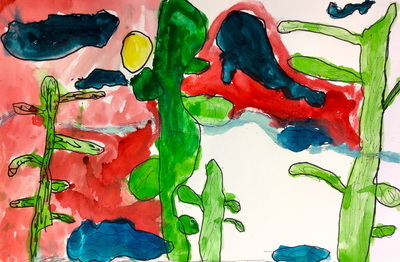 Welcome back to a new year and a new art website. 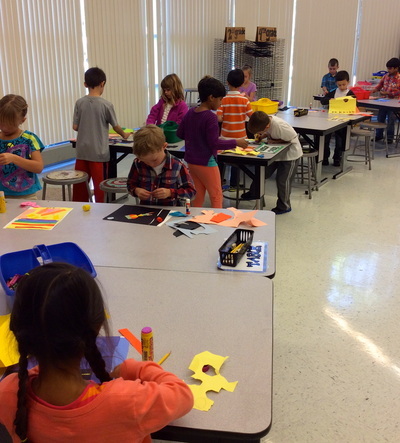 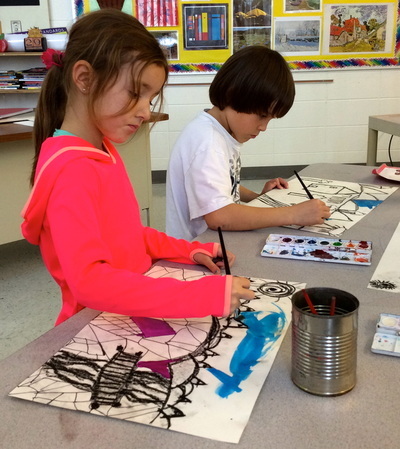 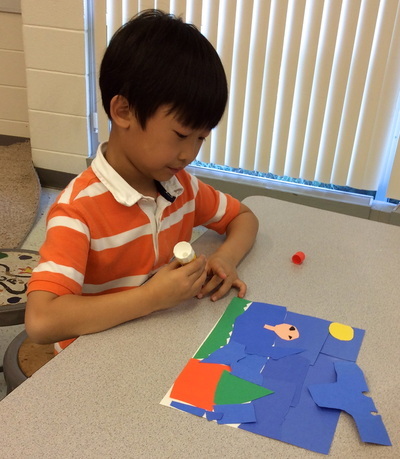 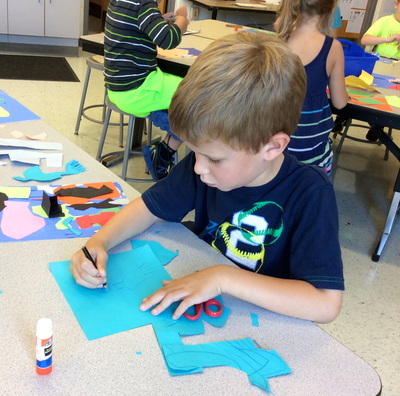 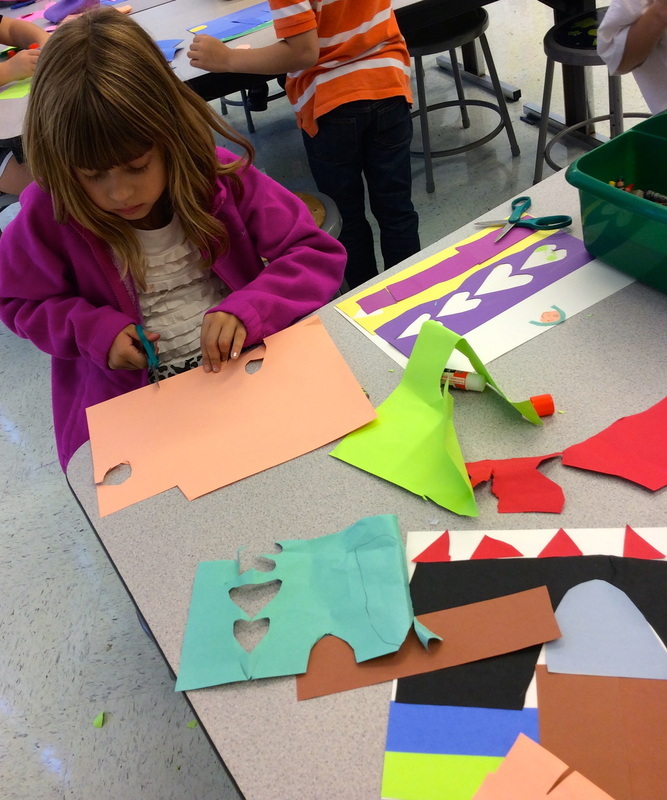 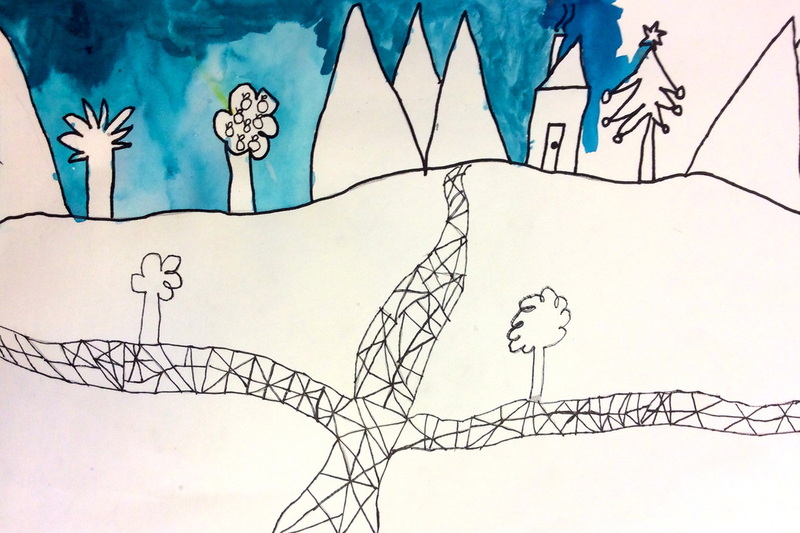 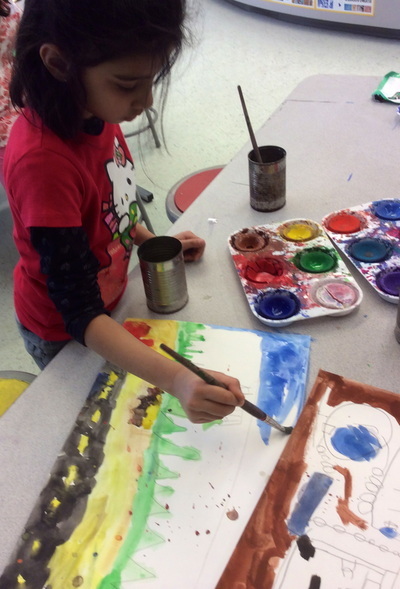 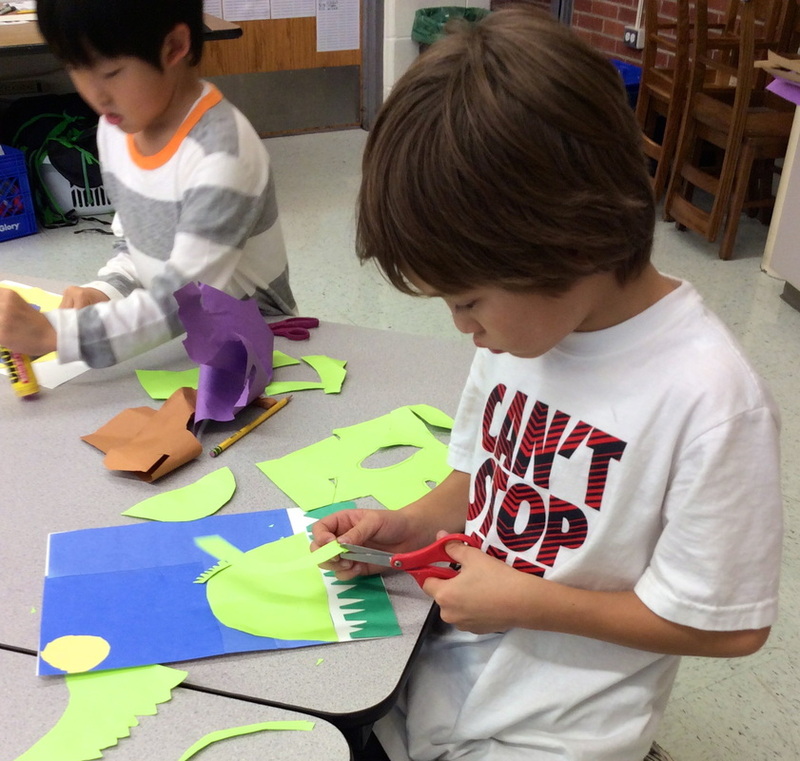 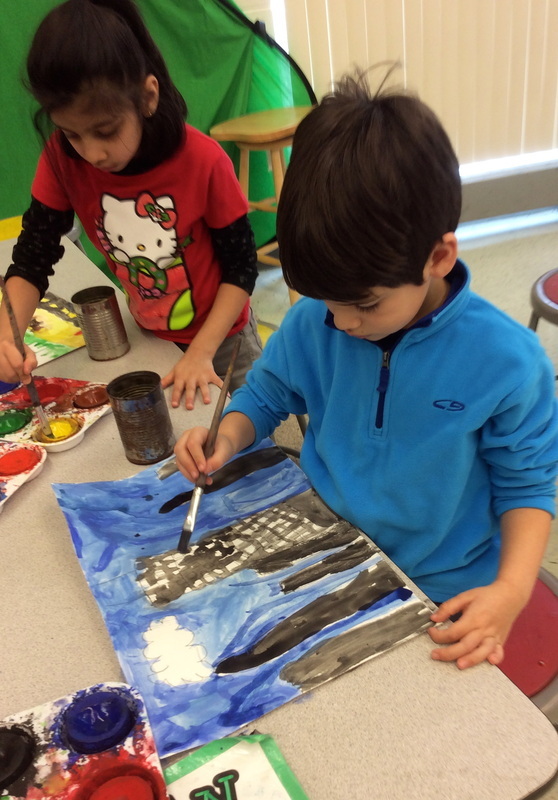 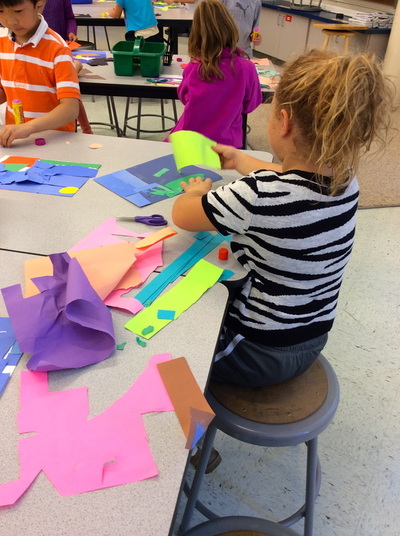 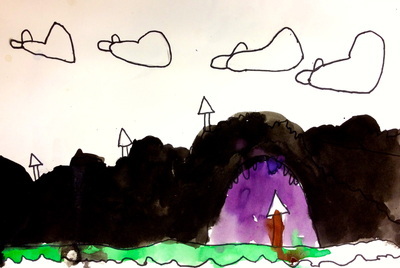 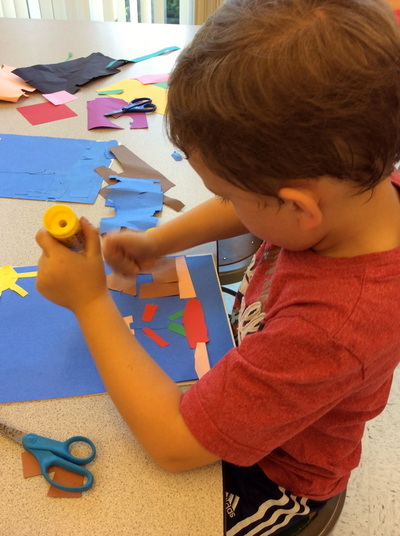 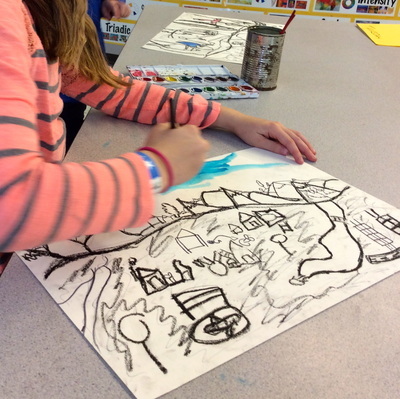 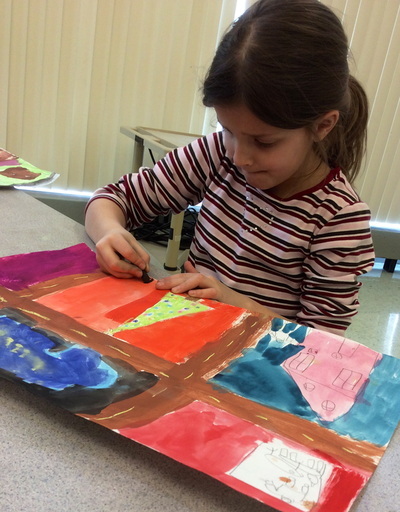 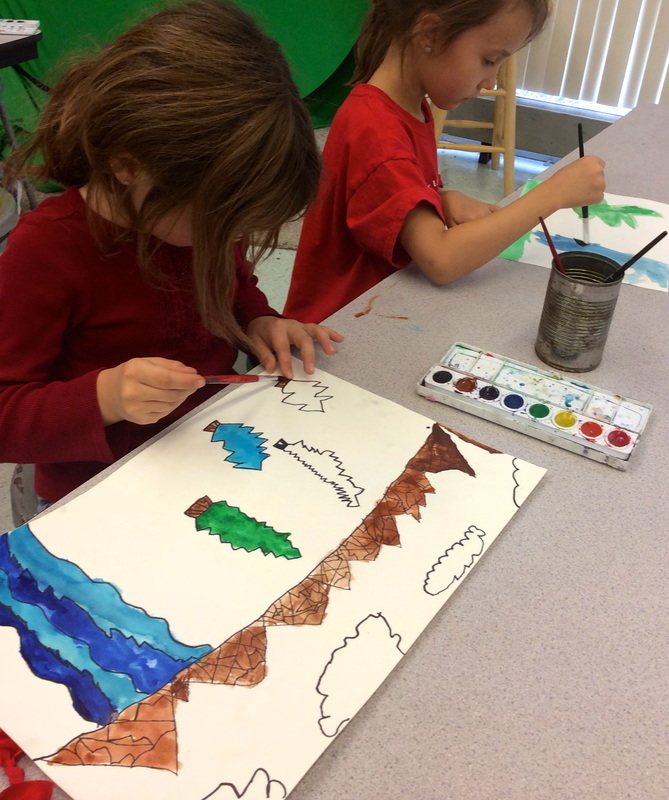 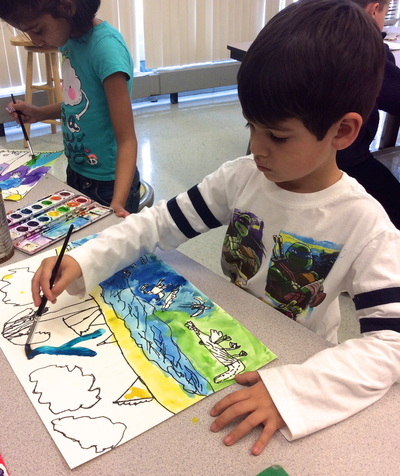 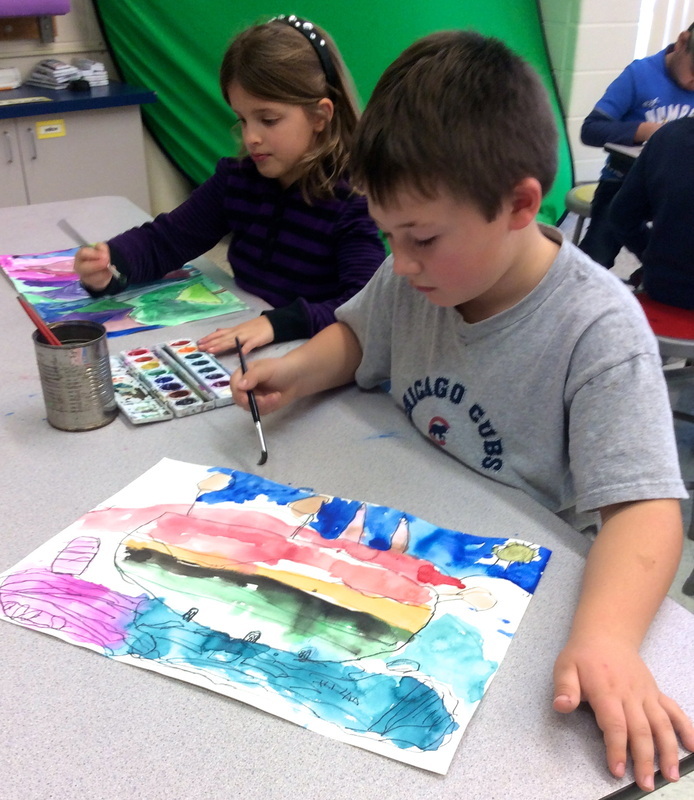 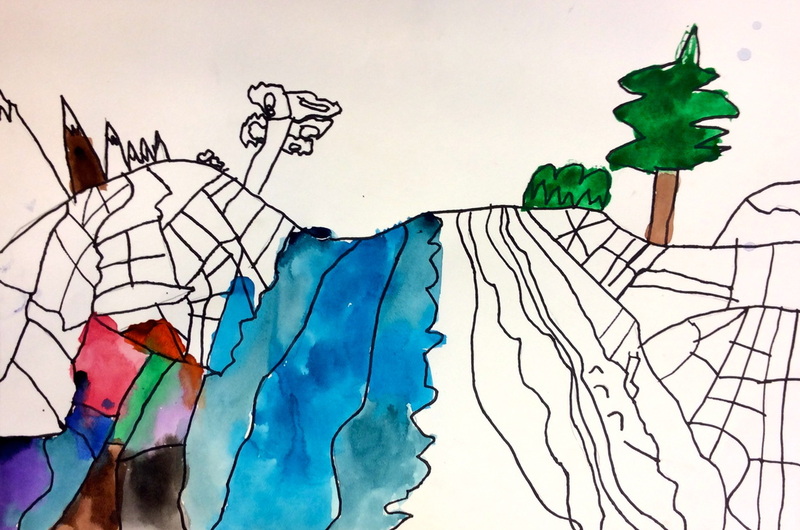 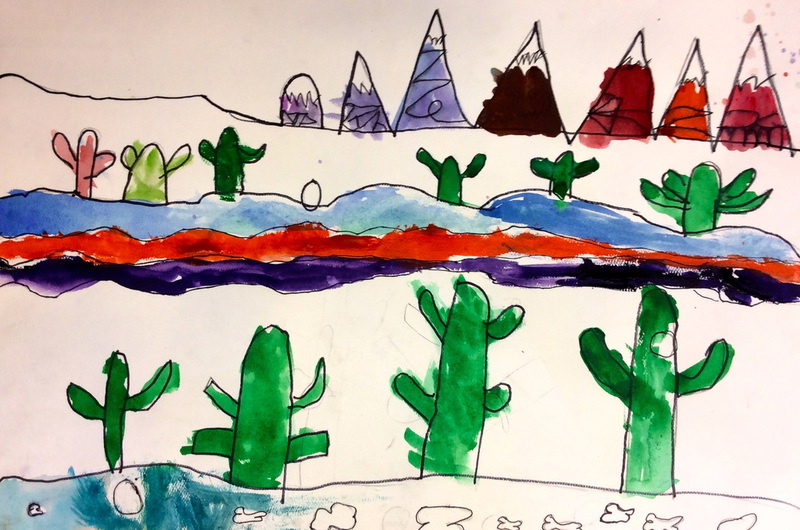 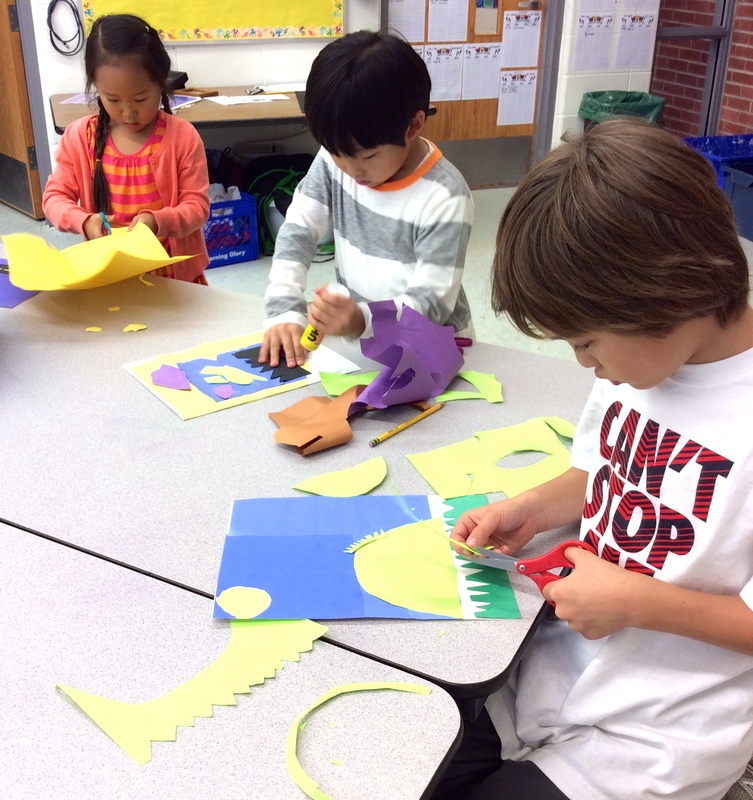 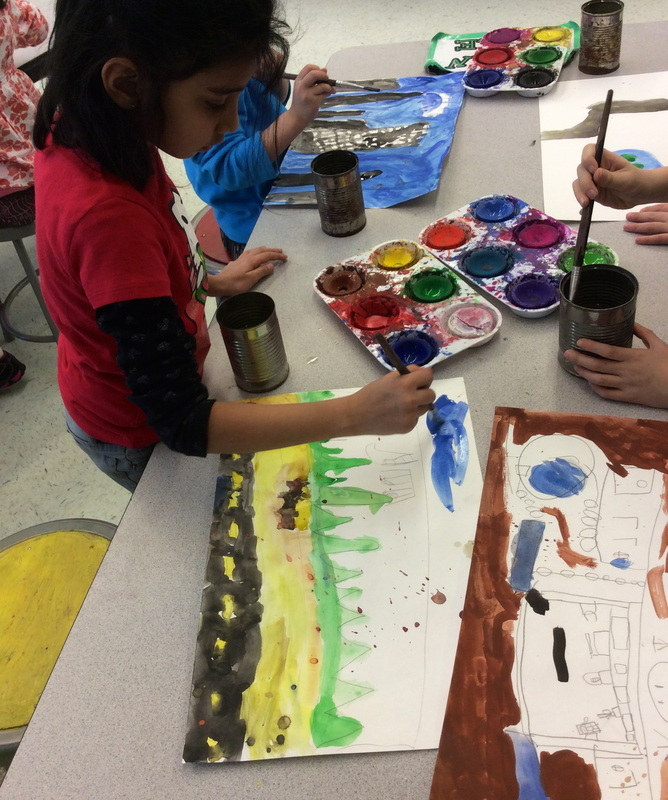 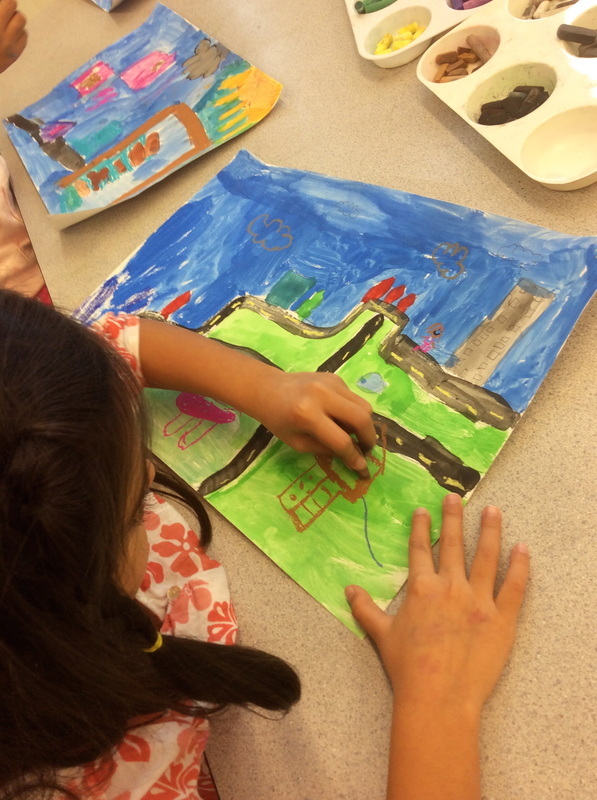 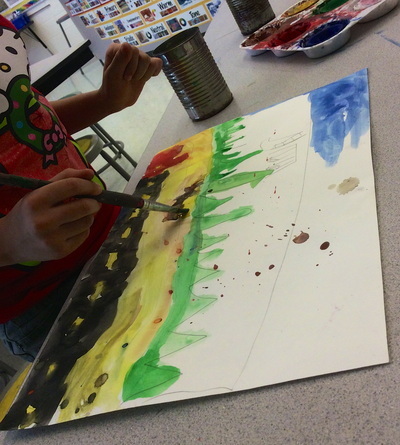 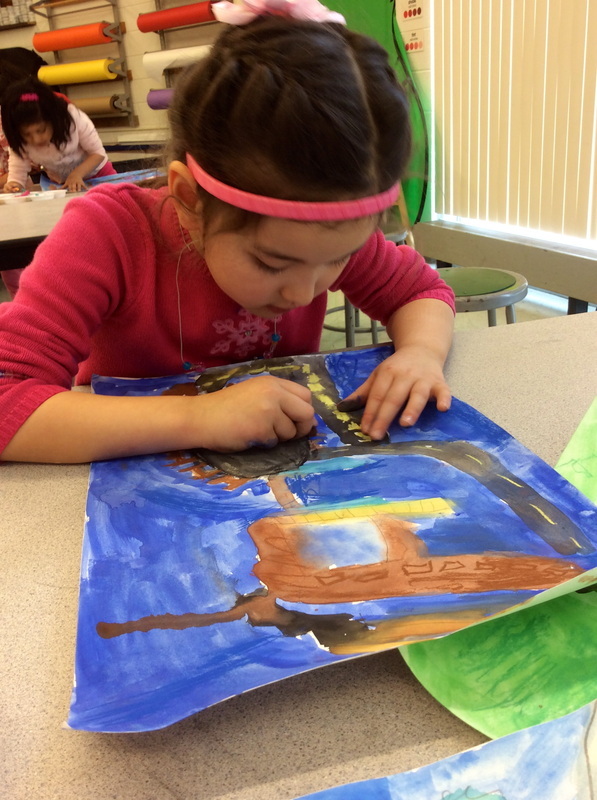 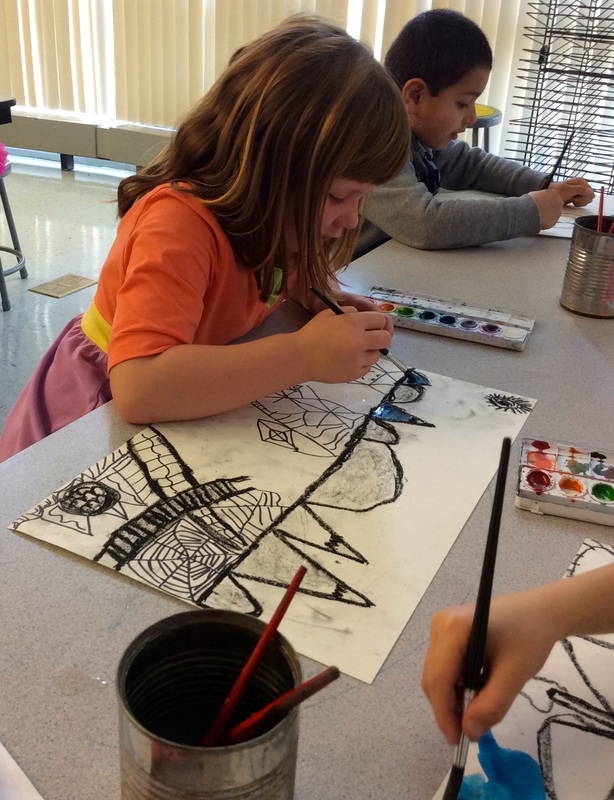 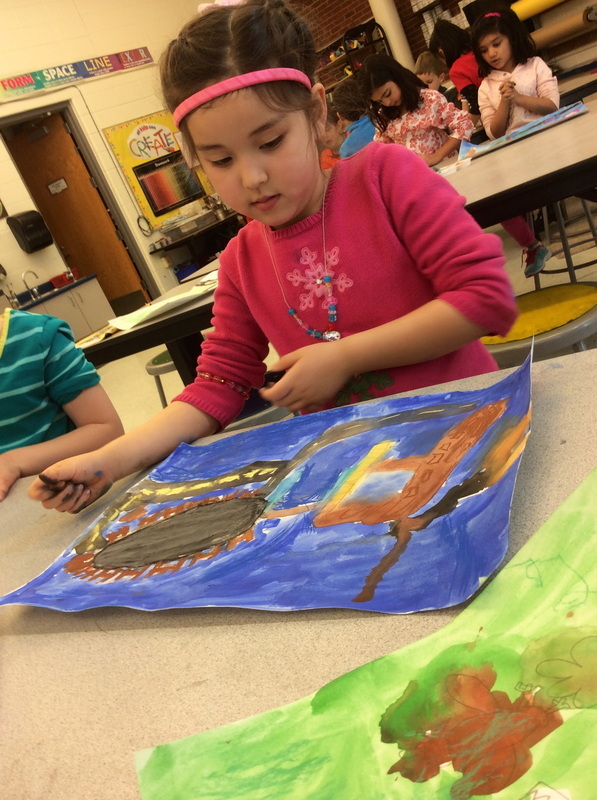 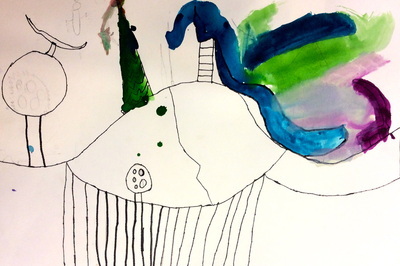 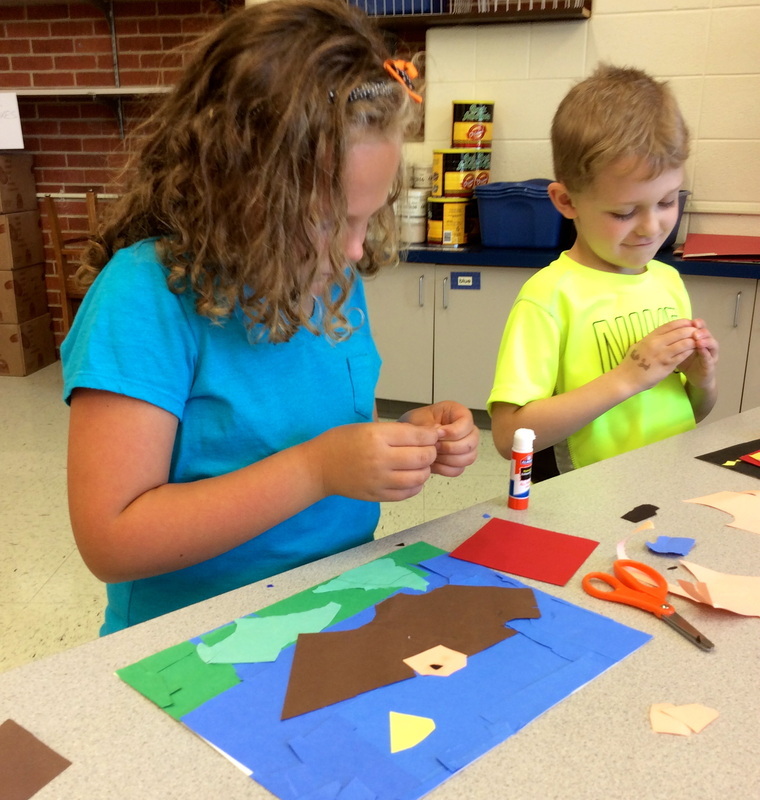 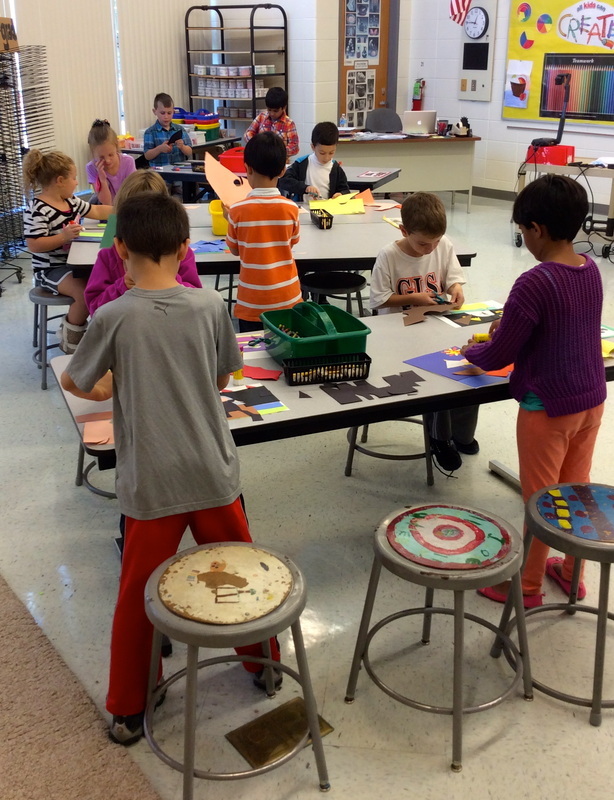 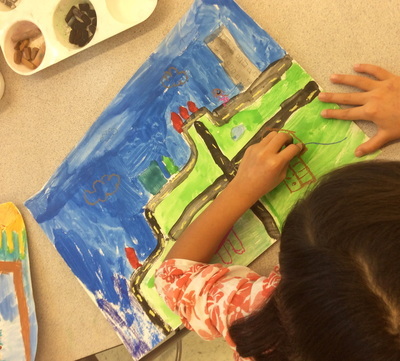 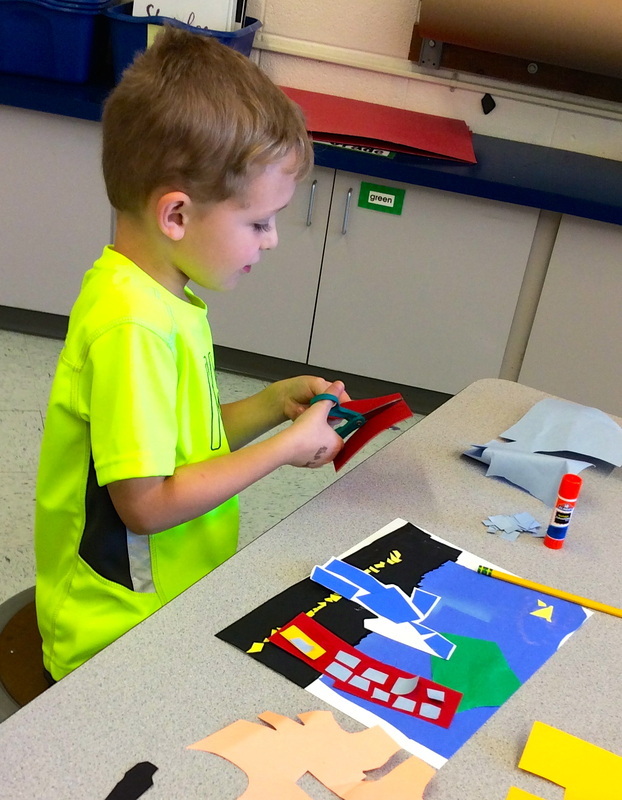 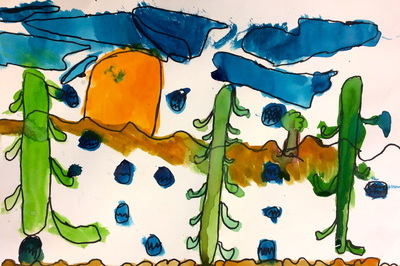 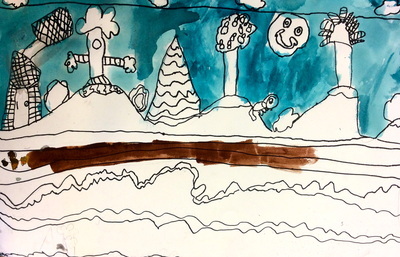 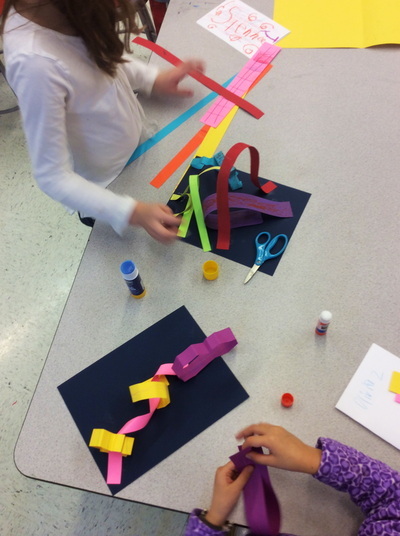 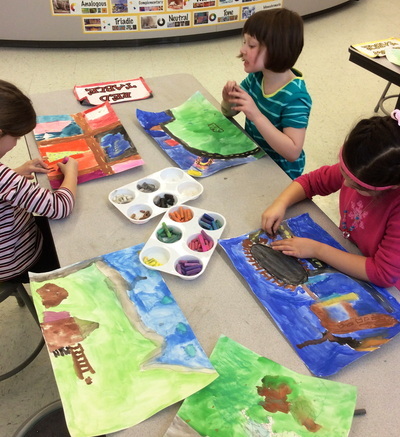 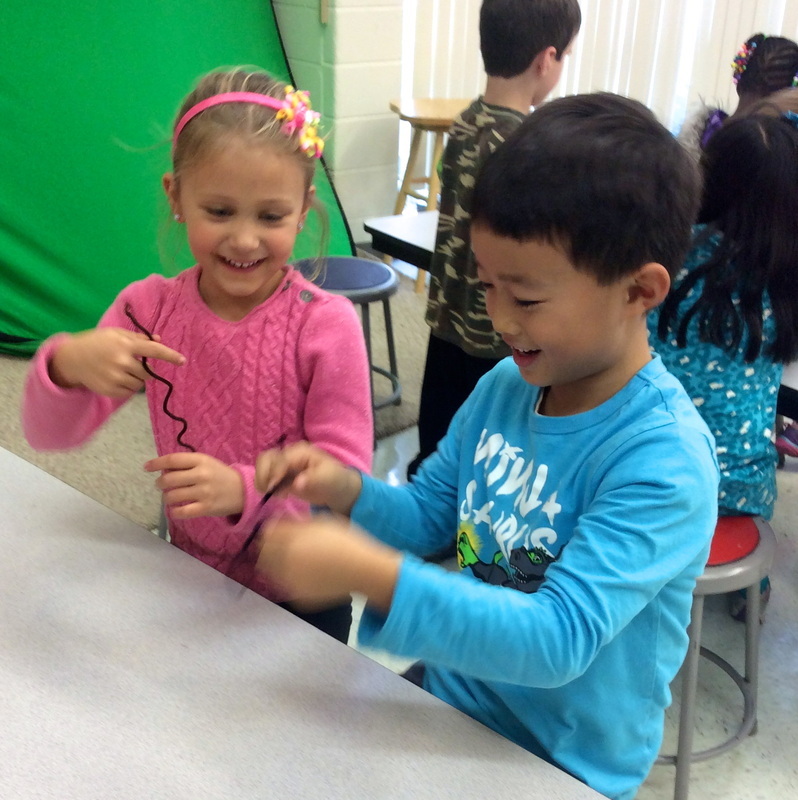 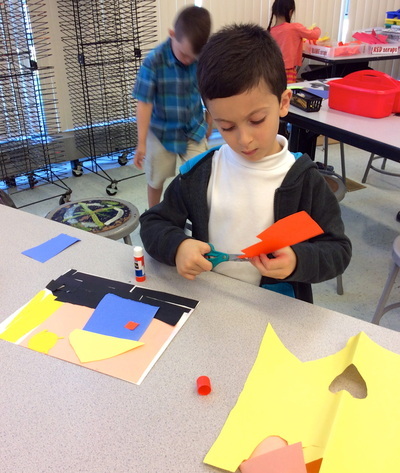 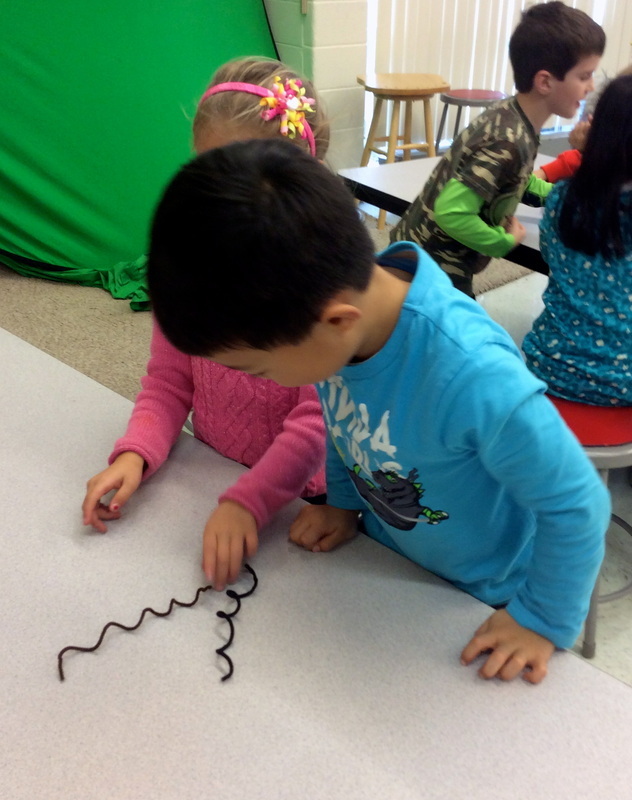 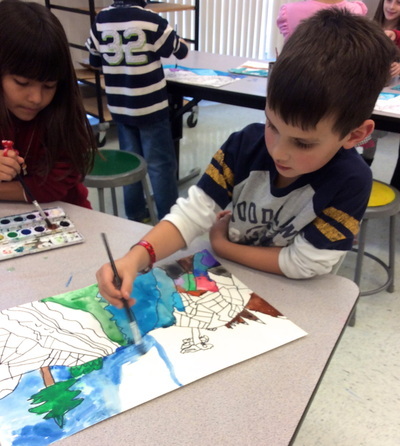 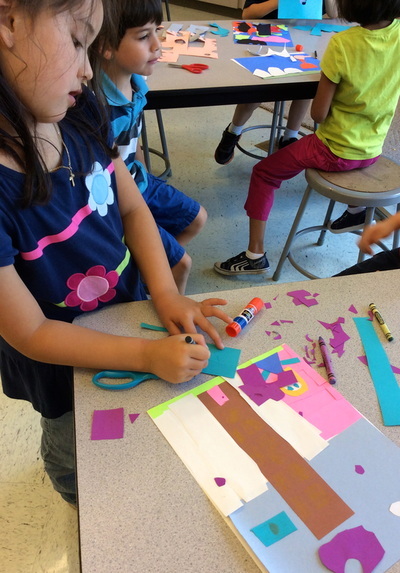 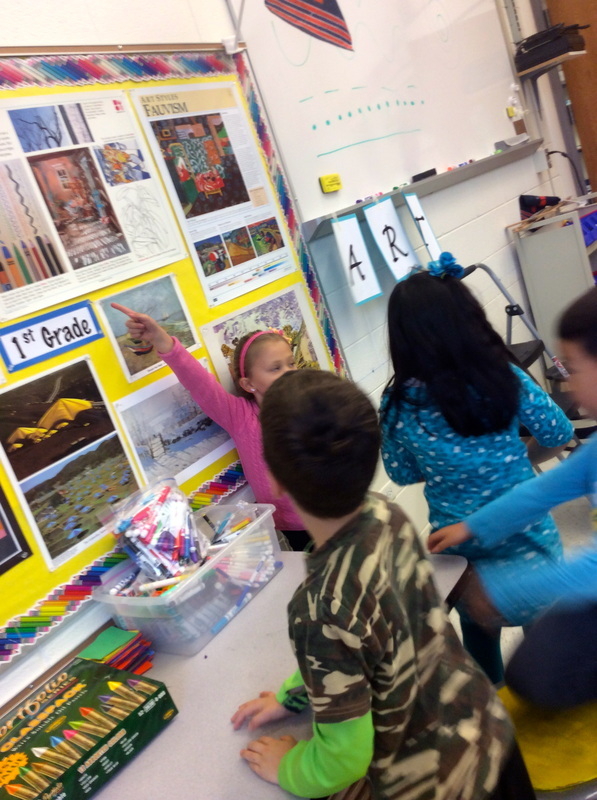 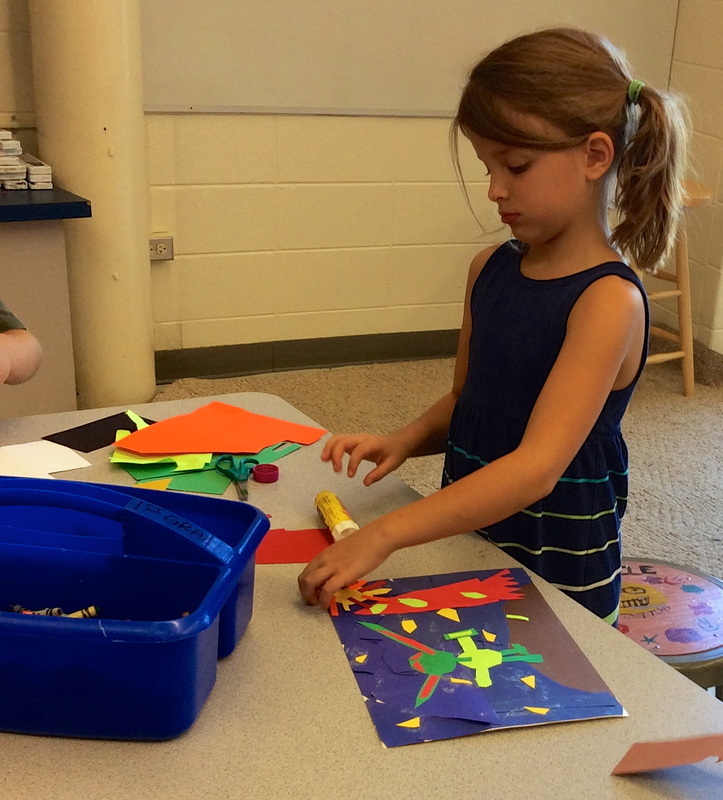 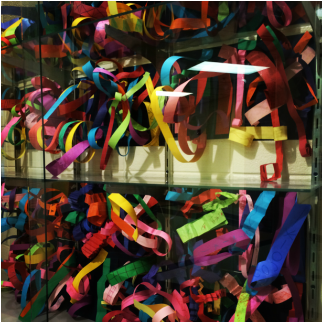 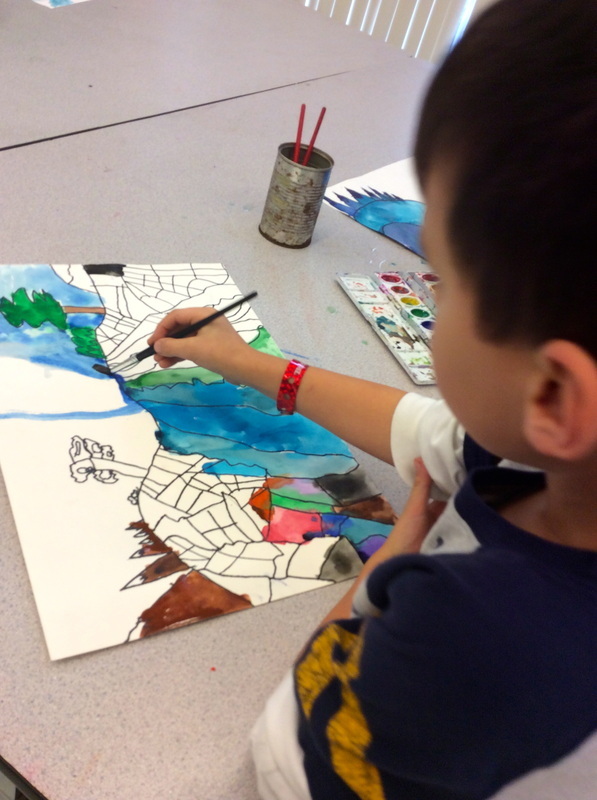 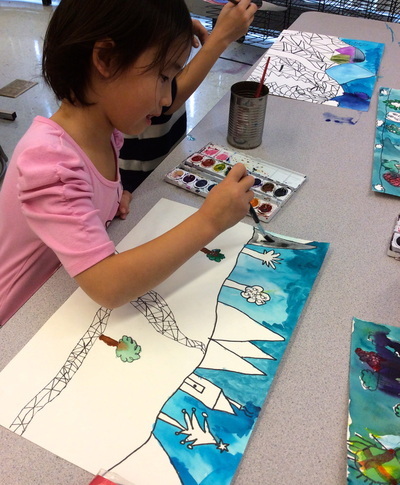 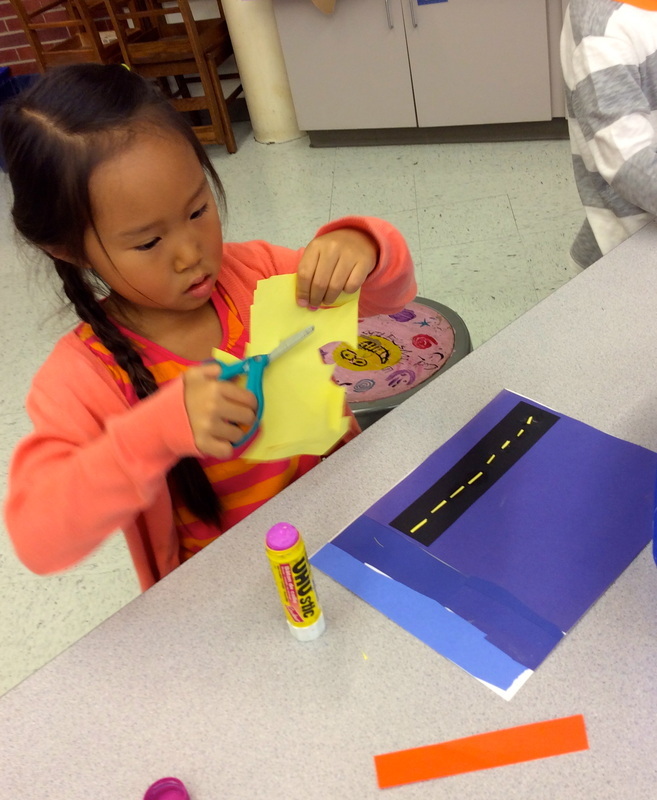 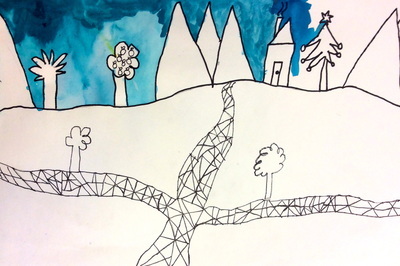 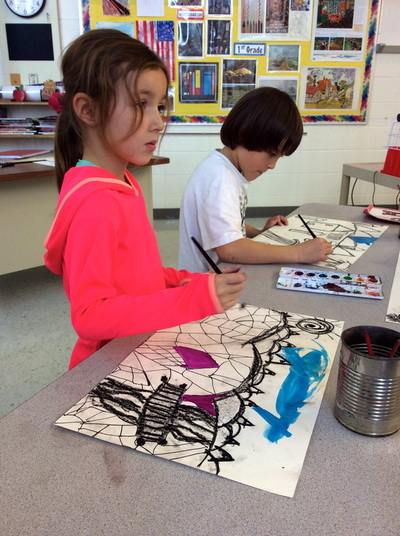 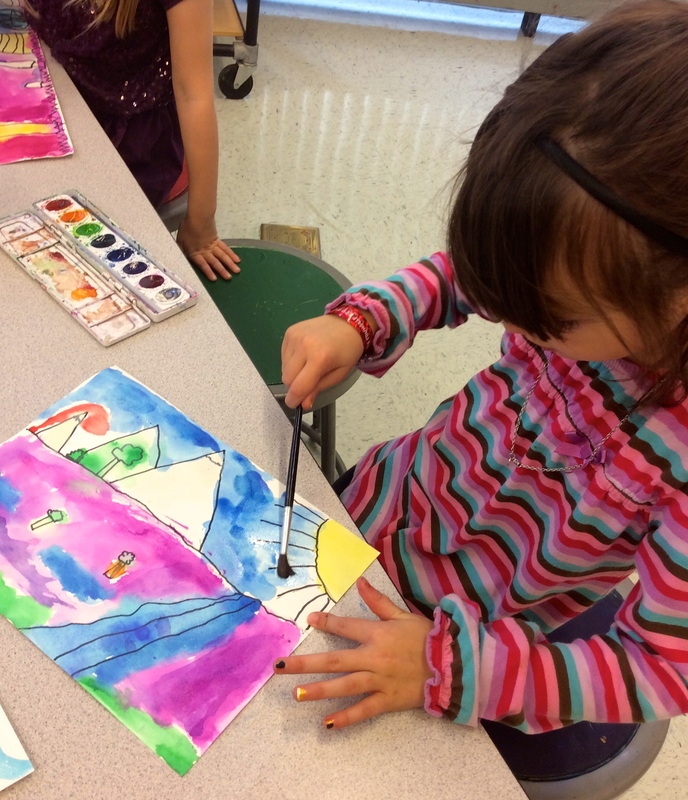 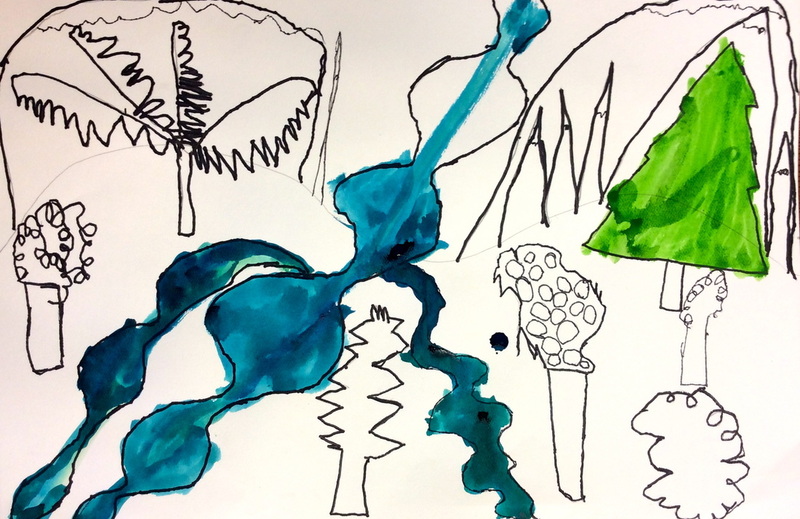 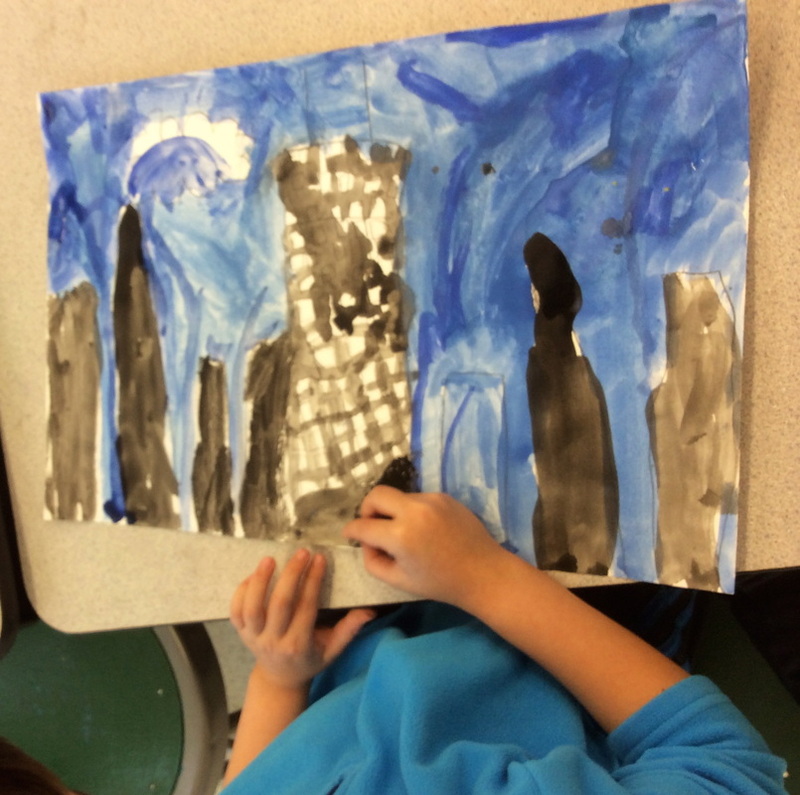 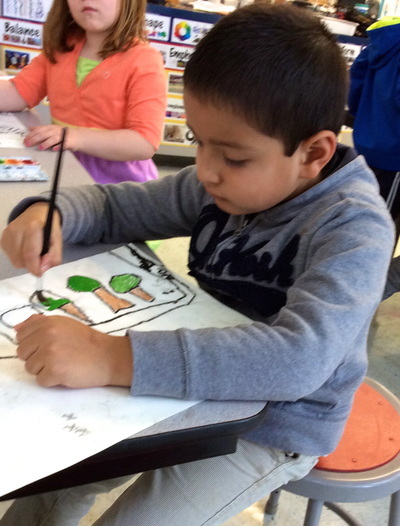 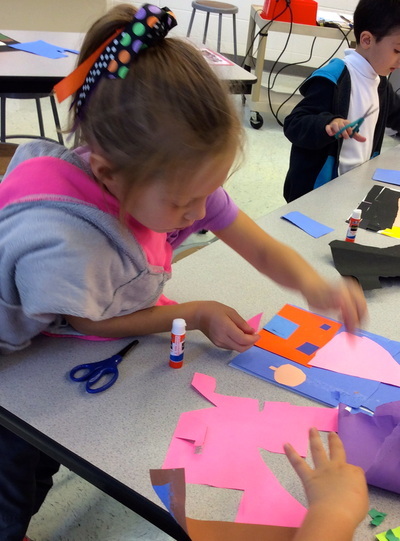 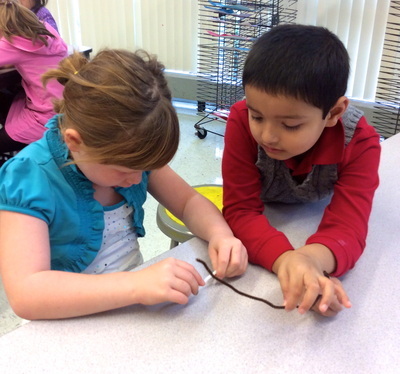 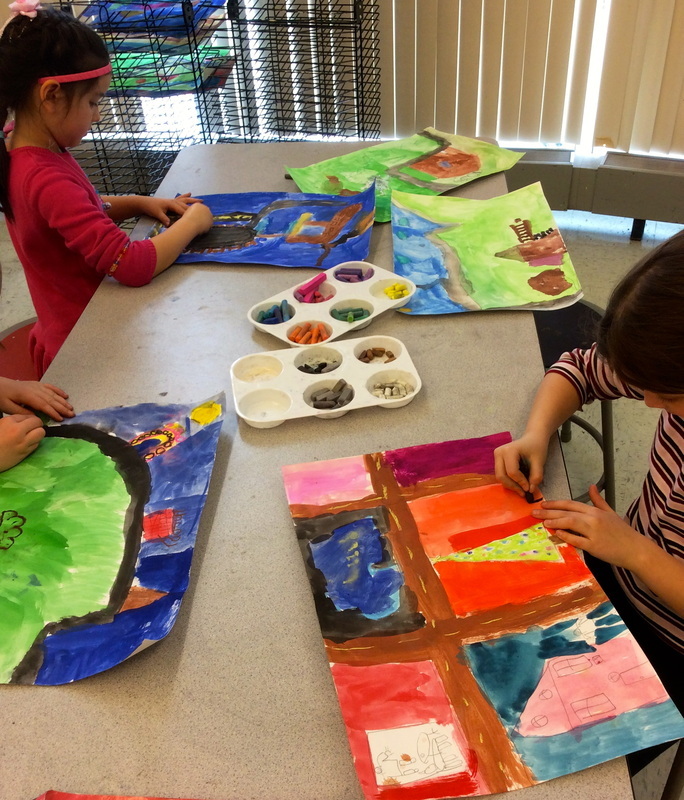 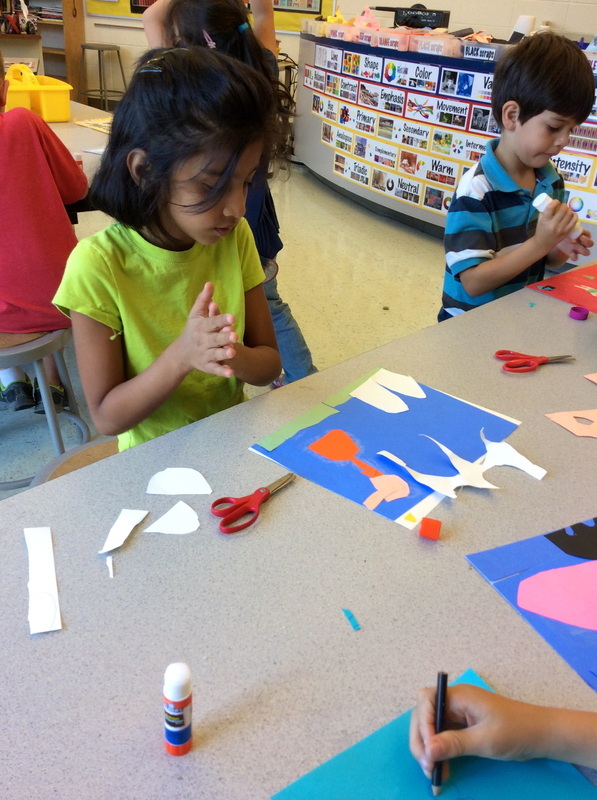 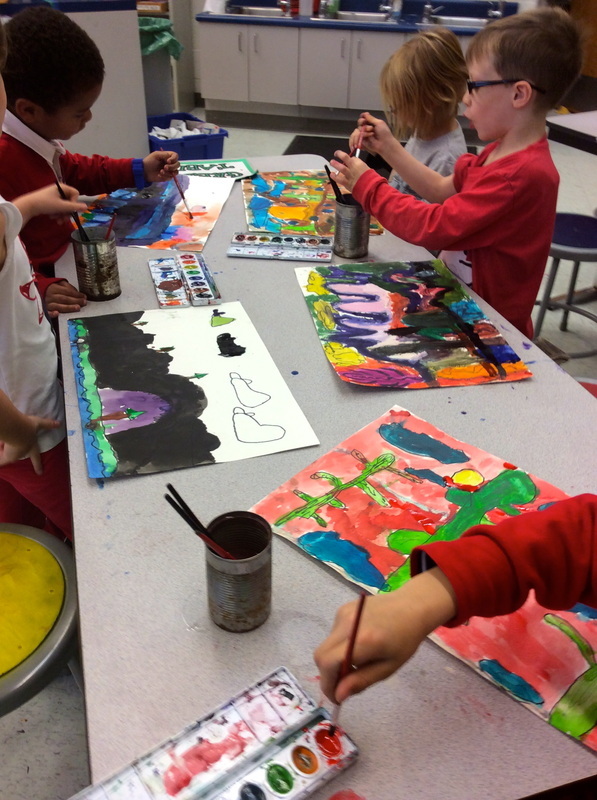 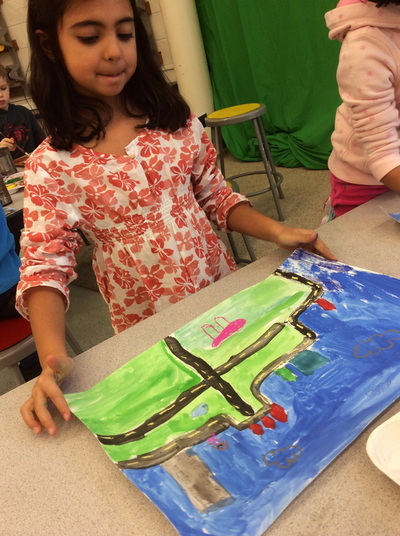 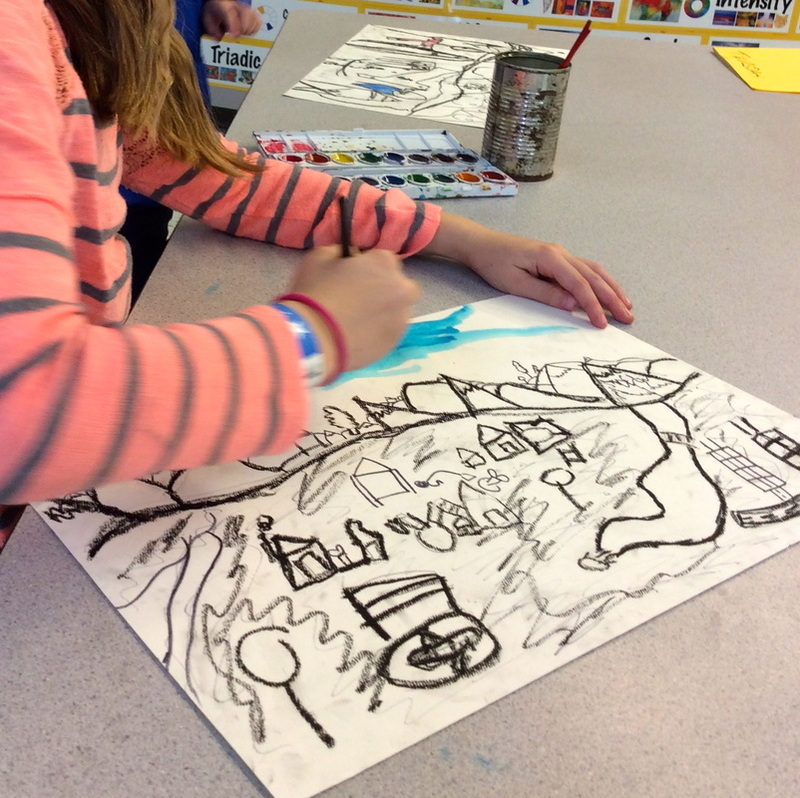 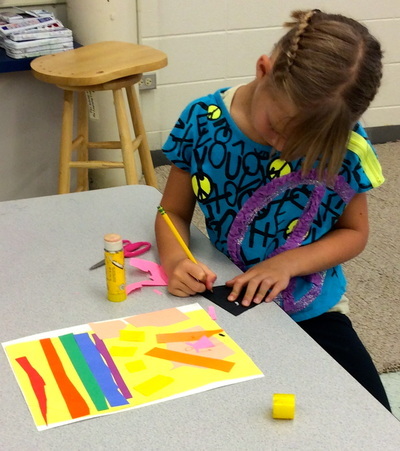 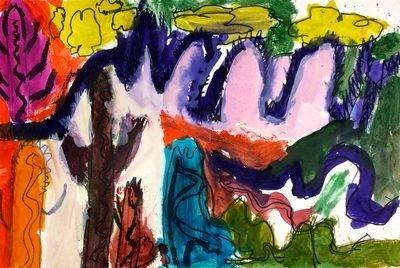 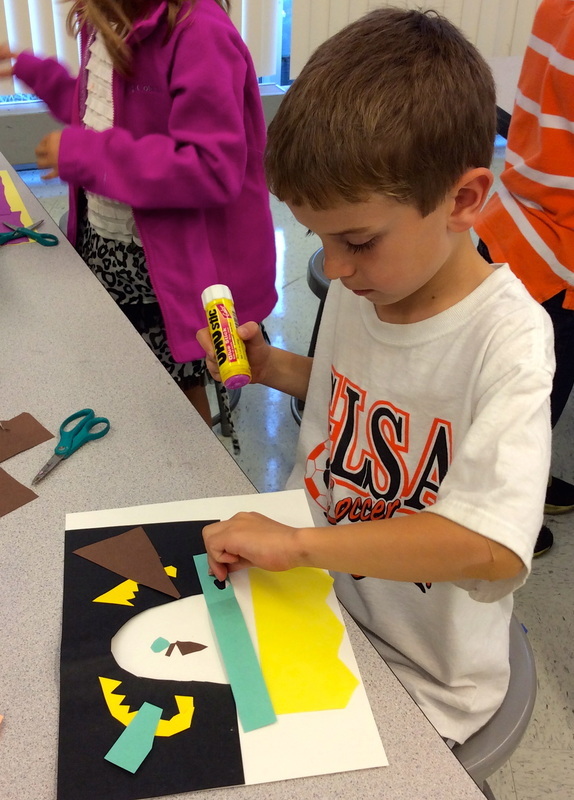 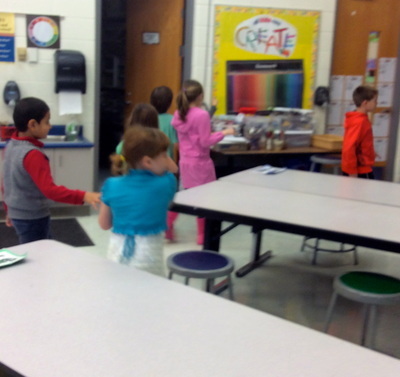 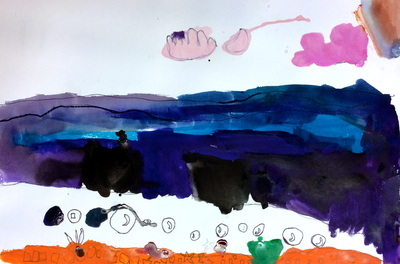 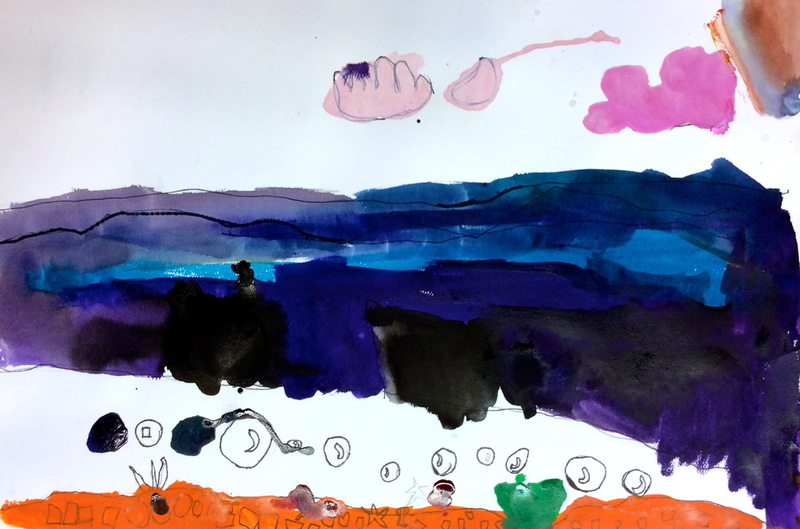 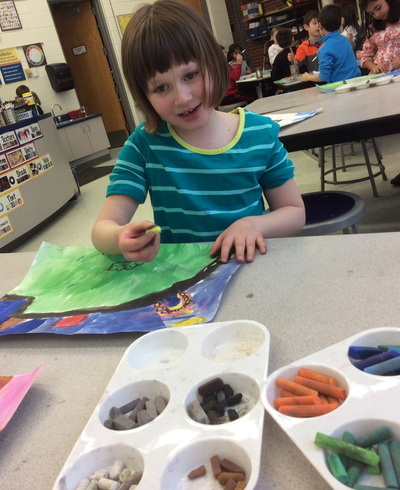 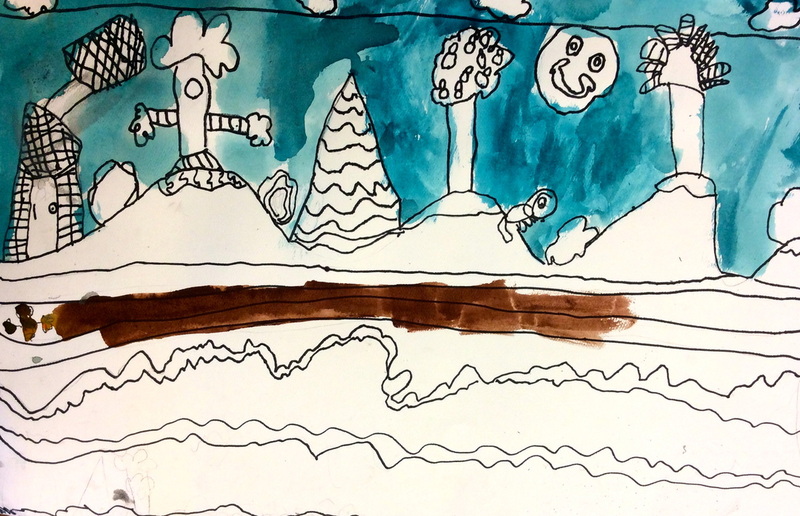 We are very excited to update you weekly about what is going on in the 1st grade art room!